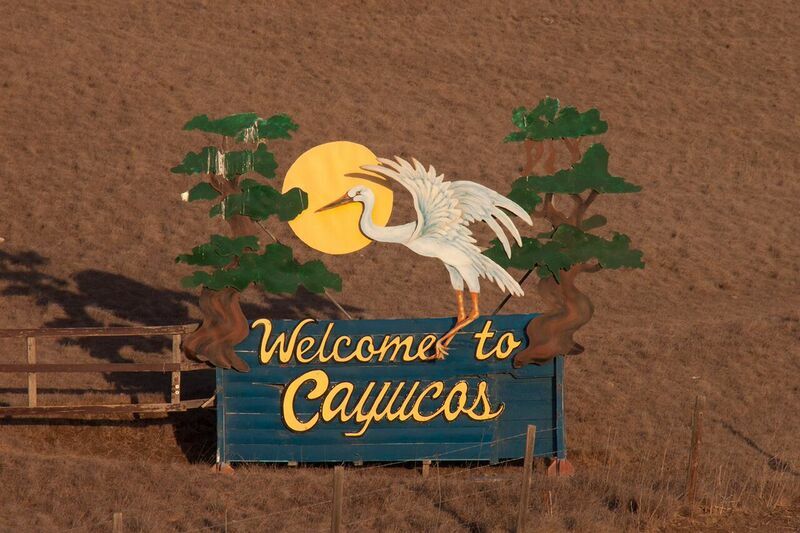 Cayucos (Perfect Travel Today) 2/3/18/–Highway 1 in California might be closed right now about 20 miles north of the Hearst Castle in San Simeon, but there are still plenty of gems to be found north of Los Angeles. About 210 miles up the highway it might be easy to miss the small beach town of Cayucos but luckily it still remains a bit of a hidden gem. On a visit in early January the weather was perfect, tourists were few and far between, and all the businesses including the restaurants were open for business. 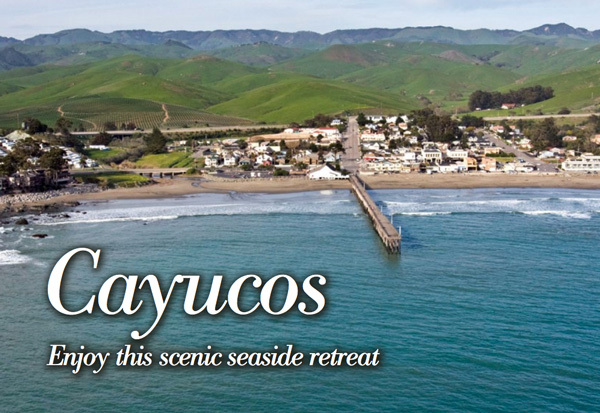 Cayucos is about five miles north of Morro Bay and about 12 miles south of Cambria which is the closest town to the Hearst Castle. 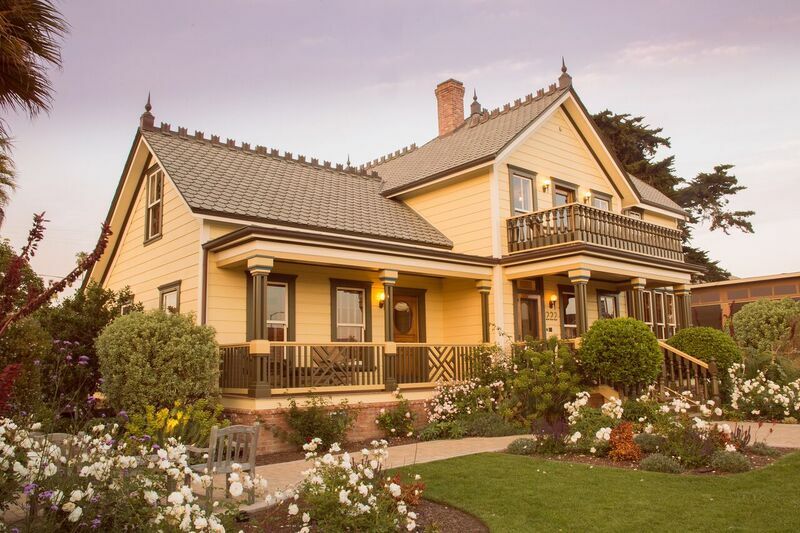 In the small town of San Simeon there is the Hearst Winery Located in the general store that has a tasting room serving the Hearst Estate Wines, there is a café on site serving fairly upscale and hearty Food that stays very busy. Today the winery hand harvests grapes to produce wines such as the bold Cabernet Franc, Petite Sirah, and Late Harvest Zinfandel. Steve Hearst is a very hands on owner at the winery and can often be seen pouring wines himself at the tasting room. In the small hamlet of Harmony (population 18) a visit to the Harmony Cellars will be time well spent to sample their inexpensive wines and In particular the 2015 Chardonnay priced at $18.40 for club members. A very modern tasting room has a $10 tasting menu where you can try Seven different wines created by winemaker Chuck Mulligan. Also tried the Riesling which for many reasons is a difficult wine to grow in California, but the Harmony version has a nice balance of peach, honeysuckle and citrus. Harmony is one of ten small wineries making up the Pacific Coast Wine Trail. Cayucos is currently booming as a restaurant town and the three we tried were all pretty good, none other than the Grill at the Cass House which has been open about 18 months. The large dining area looks upon a large open kitchen area, and all the food is sourced from local farms. It is owned by the sisters who also own the very popular Brown Butter Cookie Company and there are many standouts on the menu Such as the giant prawns and the sea scallops. The Schooner Café is an institution in Cayucos and serves the kind of sea food dishes you would expect in a town like Cayucos. Set up like an old ship with views of the pier and ocean, you can dine inside and outside on classic fare like Calamari, Crab Cakes and Fish and Chips. The favorite spot has now been open for 25 years and the latest owner is a member of the local Chamber of Commerce. They have a real old style upstairs bar serving signature cocktails and this is a place that will never go out of style. There is also an Italian restaurant in town that is also quite authentic considering that the chef is a local and not from Italy. Café della Via serves traditional Italian food, and the handcrafted wine list complements the food perfectly. Suffice to say I would go back here just to try the giant meat balls that they serve in the traditional spaghetti dish. 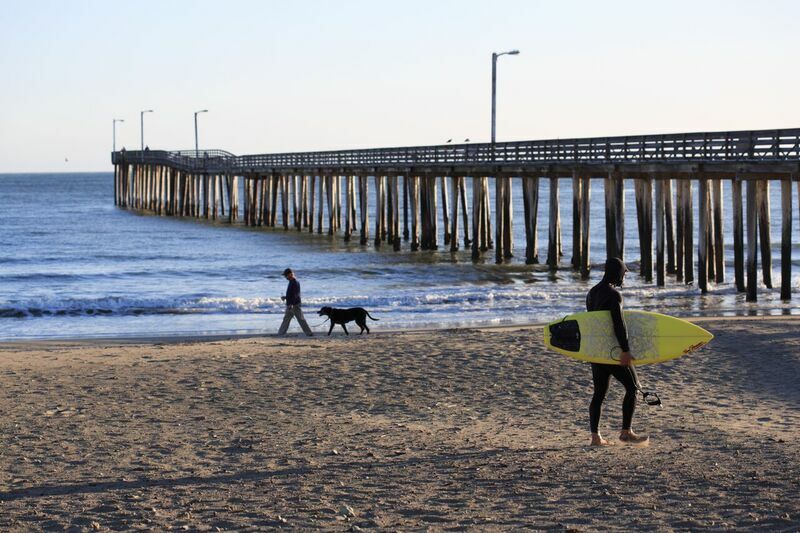 One of the biggest success stories in Cayucos is the Brown Butter Cookie Company that is a huge tourist attraction, especially after a New York Times story appeared.. They are known nationally for their famous sea salt cookies made out of shortbread. You can see the cookies being made on the premises and taste a few as the happy bunch of dough makers do their thing. The storefront/factory is always popular with visitors and locals alike, and it is owned by the sisters who also have Cass House Boutique Hotel and the lively Grill Restaurant. There is one bar/saloon in town that has live music on the weekend and that is the Old Cayucos Tavern that dates back to 1906 with the hitching post and wagon wheels in place. 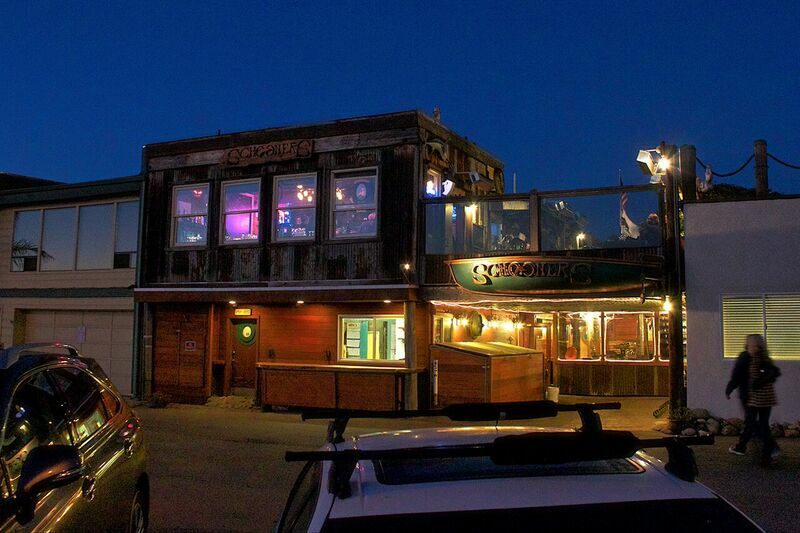 The old cowboy bar has been a popular tourist spot for over 100 years and is must see visit when visiting the town. 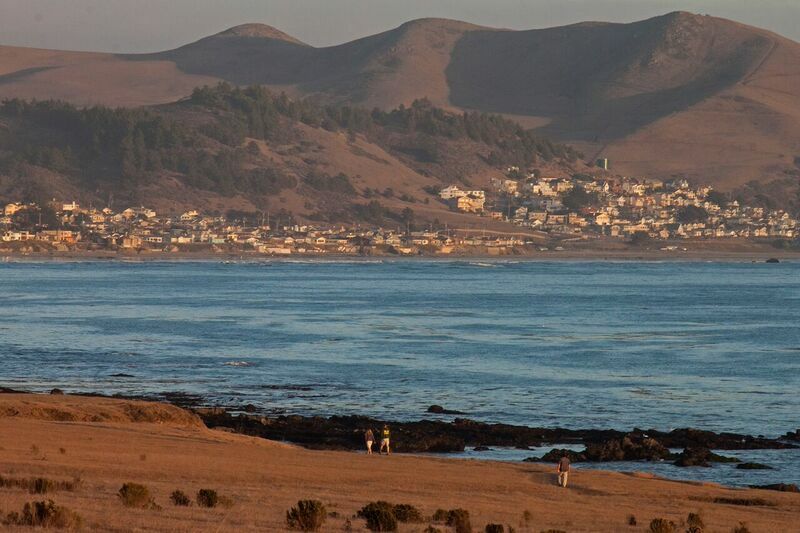 One must see visit when visiting the area is the Elephant Seal Rookery which is four miles north of the Hearst Castle in Cambria. The Northern Elephant Seal migrates thousands of miles twice each year to a land based rookery , where it breeds, births, molts, and rests between trips. At any one time you will see up to 15,000 of these seals and docents are available most days to answer any questions. 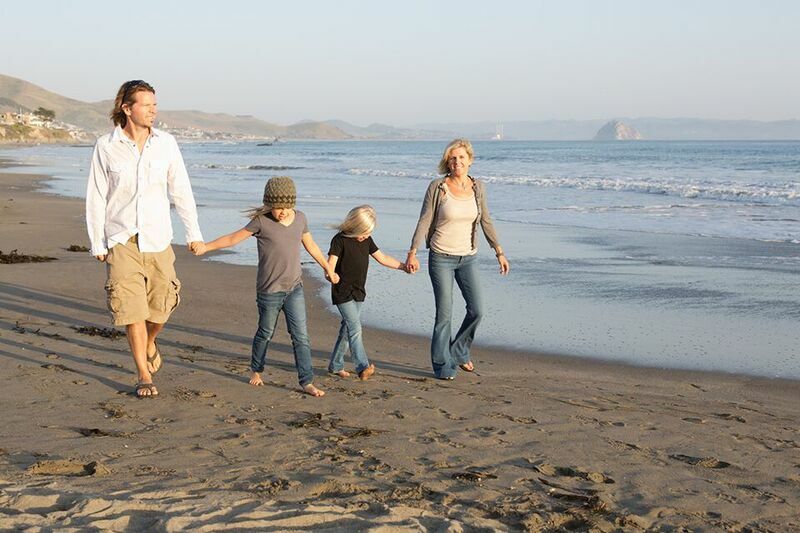 Vacation homes and small hotels are all the rage in Cayucos, but the best place to stay is probably the Pier View Suites which is a family business that opened in 2008. Every suite has an open balcony with sweeping views of the ocean, and they leave you completely alone during your stay if that is your preference. The newer suites have full kitchens,, parking is free and for a relaxing stay this is the best option in town. The iconic 101mile California Highway 1 Discovery Route offers 10 destinations with about 800 accommodation choices. 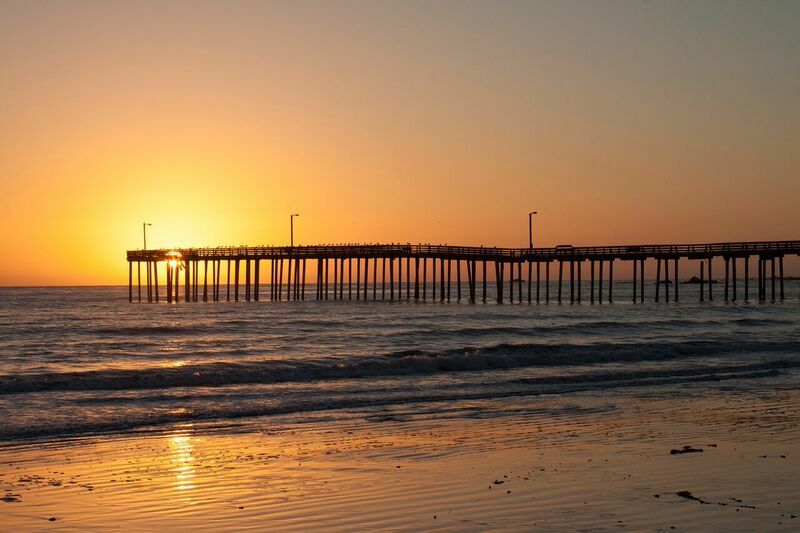 while all the time you are experiencing prime Pacific coastline. I love this part of the world and you will as well when you take the time to check it out. The ten destinations are Ragged Point, San Simeon, Cambria, Cayucos, Los Osos/Baywood Park, Avila Beach & Valley, Edna Valley, Arroyo Grande Valley, Oceano and Nipomo. At press time Highway 1 is still open from Morro Bay to Ragged Point (23 miles) but after that you will have to take a detour because of construction work being done by Caltrans.